You will discover Maggie Valley is 35 miles west of Asheville, NC and only 13 miles from Cherokee, NC; elevation is 3,200 feet with mountains rising up on all sides some more than 6,000 feet high. 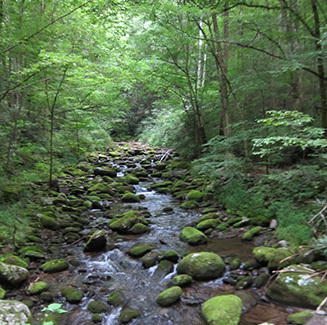 Maggie Valley is ideal for a family vacation or romantic getaway. Experience nature with outdoor activities, take in some of the area attractions, find a fishing hole, or spend a day at the golf course. Complete your day with dinner at one of our great mom and pop restaurants. Whatever your pleasure, Maggie Valley offers a respite getaway from everyday life. Some fun and exciting events take place throughout the year. Thousands of motorcyclists and automobile enthusiasts come to the Valley every year for rallies and to experience the thrills on the area's snaking, scenic roads. 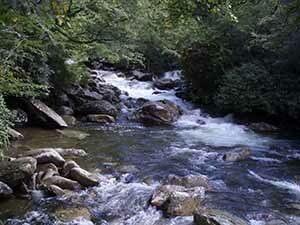 They love the hospitality and easy access to the Blue Ridge Parkway and Great Smoky Mountains National Park. With the rich vocal and instrumental traditions of the Southern mountains, concerts and music festivals are a mainstay in the lineup of events -- bluegrass and country music, a rock & roll show, or drifting melodies of beach music. Whether it's barbecue or chili, Folkmoot or fireworks, we have events to suit everyone in the family. Looking for ideas on what to do while you're in Maggie Valley? We have put our heads together and compiled a list of great ideas for fun things to do in and around the valley. Check out our list of 25 Things to Do, or visit our Trip Ideas page for ideas for doing a little exploring beyond Maggie Valley while you're here. Long before the first settlers had come into this mountain country, the Cherokee Indians occupied much of this land including all of Haywood County. Some early pioneers traveled to our area by what was known as the Indian Trail. It led from Cherokee to Waynesville crossing through Soco gap and down Jonathan Creek to Dellwood near the intersection of US 19 and US 276.